The heavy duty profile of this outdoor industrial cable protector makes this product perfect for construction sites, oil rigs, warehouses etc and because it does not require any fixings it is quick to install. What is the purpose of an External Industrial Cable Protector? The External Industrial Cable Protector is a heavy duty cable protector that is used to shield any exposed cables that are placed outdoors.This outdoor cable protector is made of rubber that is tough enough to withstand heavy traffic, light vehicles and even mild erosion, it is also fire retardant and non-conductive. 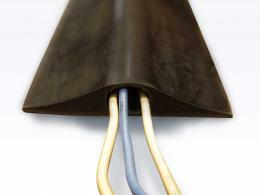 Wire covers can be a cost effective and simple measure to avoid important cables getting damaged. Available with one large circular aperture, choose from wither 14mm diameter or 20mm diameter, each can cover a multitude of cables dependant upon their size Cables of perimeter CCTV cameras often require protection from external damage, and this external cable protector is best suited to this purpose. Where can an External Industrial Cable Protector be used? This cable protector protects cables that are laid outside homes, across roads and on construction sites from environmental damage. 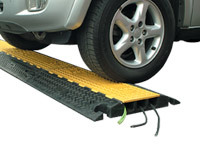 It has been specially made to withstand vehicles, and can resist tremendous loads. 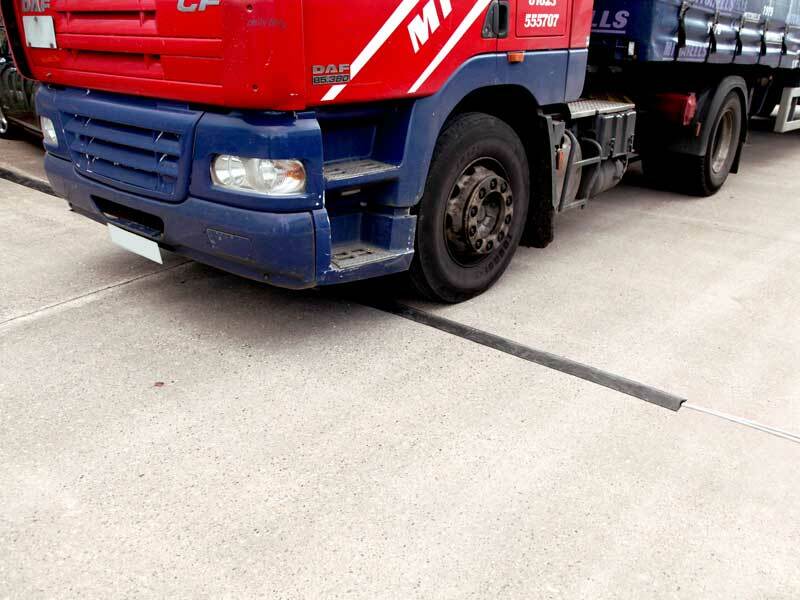 This very quality makes it popular for use on roads, across car parks and on pavements. It can also be used temporarily at events and festivals where, left open, cables are prone to just as much damage as anywhere else. Who might use the external cable cover? It is a must-have for people who set up networks of cables in outdoor environments on permanent or semi-permanent bases. Extremely heavy duty it can be used anywhere outside with no restriction on type or weight of vehicles that it will encounter. 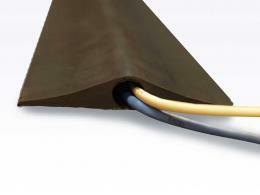 The external cable protector is manufactured from tough rubber extrusion that can resist all weights of vehicles. Specifically designed for power cables it is tested for non- conductivity to BS903-C5 and is fire retardant to BS476 Part 7 Class 3. Supplied as a complete 9metre legth The Workplace Depot offers a standard one-year warranty on all parts and labour. Our external budget cable protector fully complies with all local council and government regulative manufacturing requirements to ensure the safety of your customers and staff.